AVG has been offering its security suite as a free download for some time, but this is the first time it has offered a paid-for alternative. As you would expect, it comes with a host of tools to protect your laptop and is split into four specific areas: anti-spyware, anti-virus, anti-spam and firewall. While they are all separate tools in their own right, you can access them from the same interface. The main screen is split into three options: Scan Computer, Scan Selected Areas, Check for Updates, which all act as their names imply. Clicking Scan, for instance, will set it checking your system for problems. It may be set as a basic scan, but we were surprised how thorough it was. As with all tools, you can set parameters and set up a schedule for when to run scans on a regular basis. Any problems found aren't deleted automatically, but are quarantined in the Virus Vault. It's a simple one-click operation to free stuff from the vault. Firewall is the final part of the equation and this is the tool that caused us the most trouble, mainly because you need to train it to recognise how you use your system. This results in a lot of pop-up boxes as you work through all your programs trying to gain online access. The other main problem is that there is no easy way to see what is going on with your firewall settings, so it's hard to configure. Unlike most security suites that come with a one-year licence, which means you'll almost certainly want to upgrade to their yearly updates, AVG comes with a two-year licence. This will supply you with updates and program upgrades for this period. What's more, when your time is up, you'll be given a 50 per cent discount on the price of upgrading to a new licence. 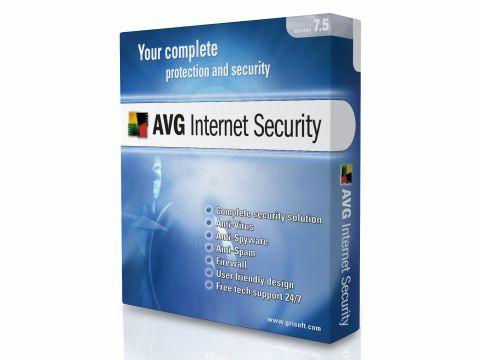 AVG Internet Security Suite 7.5 offers good value for money and is a well-rounded package. It may not be the easiest suite to set up, but once up and running it works well.